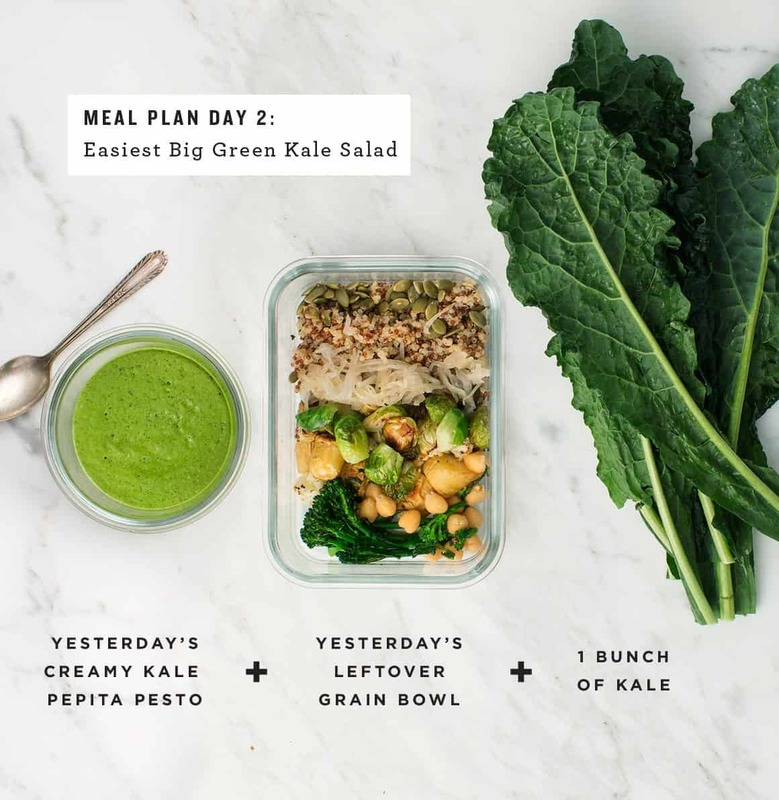 Use your favorite roasted veggies & grains in this easy kale quinoa salad, or make it as Day 2 of our 5-day meal plan with leftovers from Day 1! Hi, and welcome to my week of meal planning: Day 2! 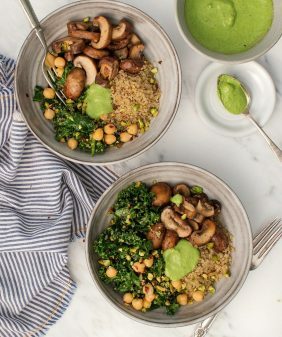 In case you missed yesterday’s post, here’s what’s happening: I started with one base meal – yesterday’s Mean Green Grain Bowls. For 5 days I’ll be making a new meal each day using those base ingredients and components. So you’re basically seeing our real-life dinner, day to day. 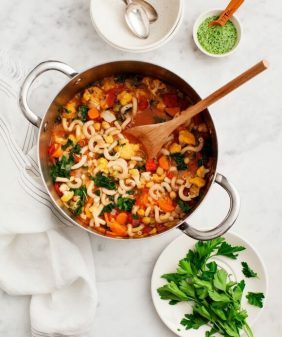 These recipes are very simple, but this is how we eat in real life – and I thought it would be fun to share that! So here’s today’s: an easy Big Green Kale Quinoa Salad! Something I love to do with leftovers is make them stretch! 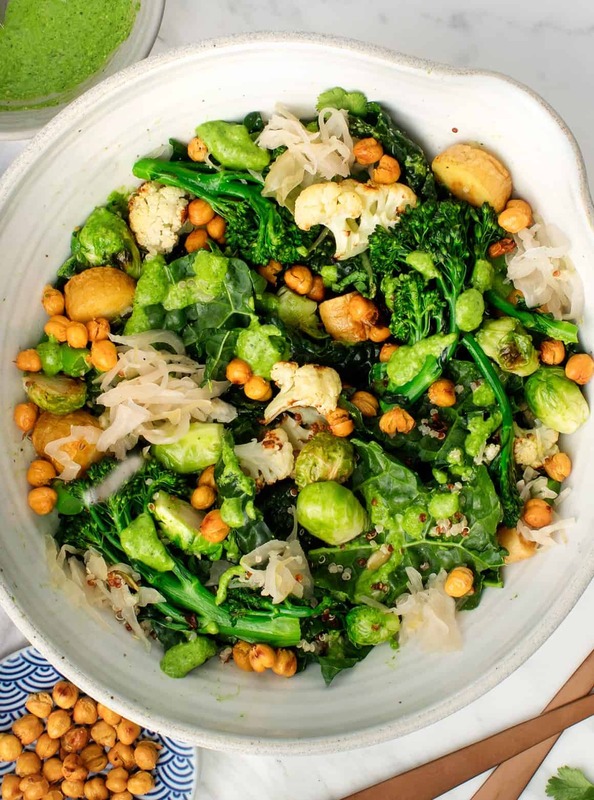 We had one leftover container full of yesterday’s grain bowl which included quinoa, roasted veggies (Brussels sprouts, cauliflower, parsnips and broccolini), sauerkraut, and pepitas. I massaged a big bunch of kale, tossed it all together and doused it in the creamy kale pepita pesto sauce that I made the other day. 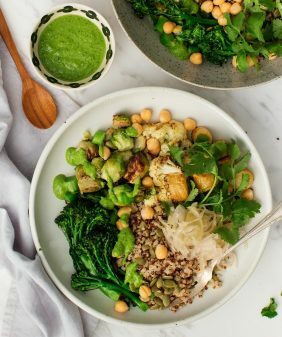 Both of these meals (yesterday’s and today’s) are super flexible – swap in any roasted vegetables that you like or feel free to change up the protein if you’re not feeling like chickpeas. Stay tuned to see what I make tomorrow! Record your meals in our pretty (new!) 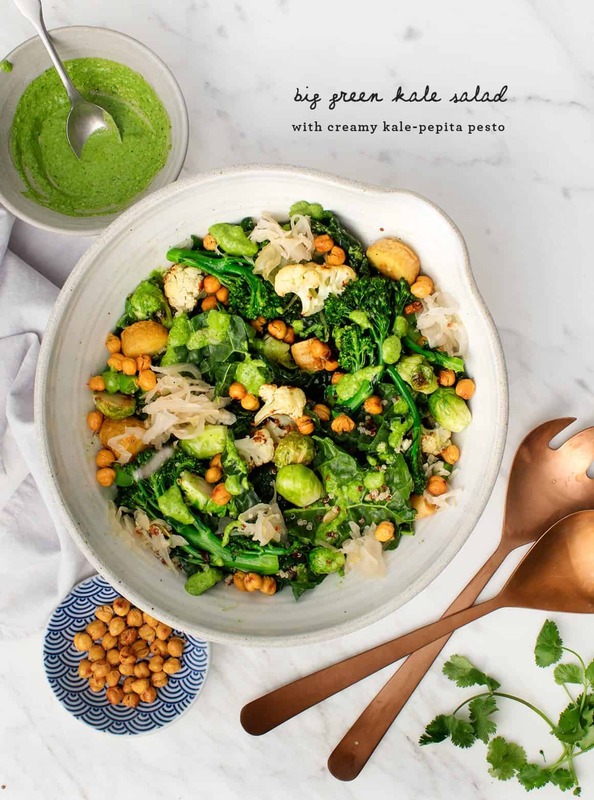 meal planner: The Love & Lemons Meal Record & Market List. It’ll also make a great Mother’s Day Gift! 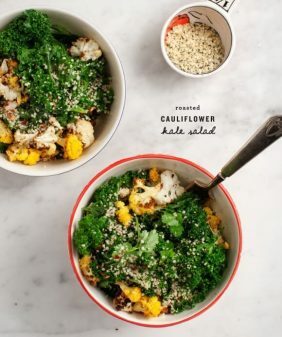 This kale quinoa salad comes together easily with leftovers from our 5-day meal plan. No leftovers on hand? Just swap in your favorite roasted veggies, grains, and protein! Preheat the oven to 425°F and line a baking sheet with parchment paper. Drizzle the chickpeas with olive oil and roast for 20 to 25 minutes or until golden brown and lightly crisp. Season with salt and pepper as they come out of the oven. Tear the kale leaves into bite-sized pieces. Add a scoop of the pesto sauce and use your hands to massage the leaves until they're soft and wilted. The oils from the sauce will help break down the coarse leaves. 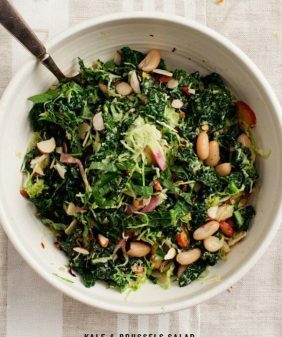 This salad looks so freshy, tasty, and very healthly. By the way beautiful picture. 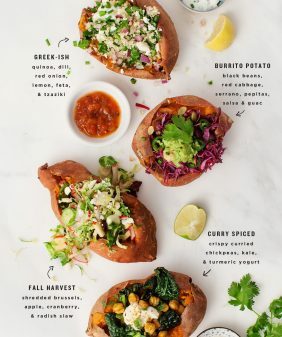 Love this meal plan! Would love if you can do it more often as it’s super helpful and really helps with the weekly planning! Hi Nicole – thanks so much for letting me know that it’s helpful!! I had tons of fun putting it all together so I’m definitely planning to do it more often. I’m so in love with your salad. One point that I always like about salad is that we can take advantage of leftovers. That’s so helpful all the time.